Women still earn 77 cents for every dollar a man makes, and are paid less even in the same job, working the same hours. Partly, this is because women are less inclined to ask for a raise -- and for good reason. Research shows that women who ask for raises are seen as aggressive and unfeminine, and that backlash might hurt their future prospects in the job. But a new study identifies a possible solution: Devise clever ways for women to ask for a raise that makes them appear non-aggressive and feminine. Harvard's Hannah Riley Bowles and Carnegie Mellon's Linda Babock have been studying this subject for the past five years. 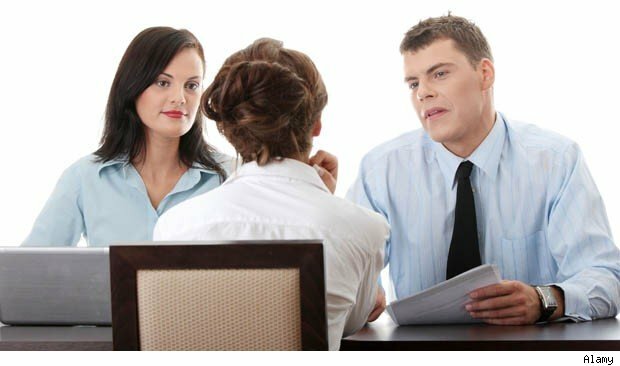 In their most recent study, published last August in Psychology of Women Quarterly, they got hundreds of people to watch videos of women and men following different negotiation "scripts," and then had them judge whether they would give the negotiator the raise, and if they would want to work with that person. Mention how weird you feel about asking for a raise. When women used phrases like "I hope it's OK to ask you about this," "I'd feel terrible if I offended you in doing this," and "My relationships with people here are very important to me," the researchers found that they were able to defuse the social repercussions. But it didn't actually help them get a raise. Say negotiating is good for the organization. To both be likable and get the raise, the researchers found this line particularly successful: "I don't know how typical it is for people at my level to negotiate, but I'm hopeful you'll see my skill at negotiating as something important that I bring to the job." In that one snazzy sentence, you've managed to recast your "selfish" desire for more money as a wonderful trait you want to give to your employer. How thoughtful! How feminine! Ask your boss what he or she thinks. Simply asking "What do you think?" or "I'd love to get your advice on this" was a good trick to seem less aggressive-confrontational-manly. Blame it on someone else. The researchers discovered that when women said another person at the company, like a supervisor, had told them to ask for a raise, they were more likely to get it, without losing popularity points. Definitely, definitely ask. Even though asking for a raise might be a more traitorous terrain for women, they should still definitely, absolutely ask, according to the researchers. Women, more than men, they found, seem to believe that if they sit quietly and work really hard, somebody will shower them with praises and wads of cash. This is rarely the case. All the normal stuff too. And like men, when women want a raise they should (a) time it for when they've just done something awesome (b) research how much they should be paid, from friends (not just female friends, who are probably paid less than their male equivalents) or websites like Payscale.com, Salary.com, and Glassdoor.com and (c) ask what they can do to get that raise or promotion, if the boss is hesitant at first. But wait: isn't conforming to feminine stereotypes counterproductive? Bowles says no. "To make change you need idealists and pragmatists," Bowles says in response to this critique. And she's offering up the pragmatic approach. "I do genuinely believe that the stereotypes ultimately stem from the fact that we expect women to be paid less, because women are typically paid less. and we expect men to be in leadership positions, because they are mostly in leadership roles," she explained. "And part of the process has to be getting more women up there."